They say the only constant is change, and that certainly holds true in the world of packaging. Every year, new technologies and process refinements alter the way businesses pack and ship their products. And now, thanks to a greater understanding of the changes our planet is undergoing, demands for eco-conscious packaging solutions are (rightfully) louder than ever. Here’s 5 of the most noteworthy packaging trends on the rise in 2019. Improvements in digital printing (better quality, faster output, lower costs) has put short-run custom branded packaging within reach of smaller businesses. Gorgeous, attention-grabbing packaging is no longer relegated to the big brands who can order thousands and thousands of printed corrugated boxes and mailer envelopes at a time. Low order minimums are a game-changer. Smaller shops, especially online stores, can reap the benefits of placing their logo on customer orders, whether it’s printed on a box, a label, or a stack of smooth tissue paper. It’s given rise to one of the most welcome packaging trends of the past few years—great-looking, eye-catching, competition-inspiring packaging designs. For quite a while, white ink printed on kraft boxes was all the rage. The interesting colour combination gives packaging a distinct look—one that’s eco-friendly, artistic, compelling and charming. It’s a memorable design choice, and one of the better packaging trends out there. But the nice thing about taste is that it changes, and we’re certainly seeing a shift in what colours brands are gravitating towards. Eco-conscious, eco-friendly and eco-aware packaging choices aren’t going anywhere, and smart brands are embracing the look that kraft boxes give them—with an interesting update. Rather than sticking to just white ink, they’re using coloured ink on their packaging. The more muted, darker look that the ink takes on once it soaks into the kraft fibers lends it a rustic, earthy, eco-loving feel. Ever heard of the Marianas Trench? No, not the pop band. It’s the deepest point in the ocean, reaching down almost 36,000 feet in a remote part of the Pacific Ocean. For a long time, it was assumed to be one of the most untouched spaces on the planet, until scientists discovered microplastics were beginning to pollute the region. It’s one of countless reasons we need to rein in our plastics problem. Thankfully, more and more packaging is leaning towards the removal of plastics, and substituting it with corrugate and chipboard—materials much more easily recycled and reclaimed. Outer wrappers, inner sleeves and even plastic trays are all being cast aside in greater volumes. It’s signaling a strong change in packaging trends that’ll redefine packaging and its relationship with the environment. Sharp increases in material and shipping costs have spurred major e-commerce retailers to lead the charge in optimizing shipping packaging. Quite often, a product comes in primary packaging, which is then placed into secondary packaging and surrounded with void fill. This new reduce-and-optimize movement seeks to meld these multiple packaging supplies into one, thereby speeding up packing and fulfillment, simplifying shipping, and increasing overall profit margins. One of the best examples of this is the new Tide Detergent re-design. It eliminates the use of a bottle—thereby eliminating the use of bubble wrap inside the shipping container during shipping—by placing the liquid detergent in a bag and suspending it inside a new Tide-branded corrugated box (it also includes a twist tap and cup for easy dispensing). By changing the outside packaging and reducing the need for extra protective material, this newly-optimized packaging will lead the way into a more streamlined e-commerce shipping future. Every year, Pantone announces a colour that reflects modern society, current trends and anticipation of the future. For 2019, Living Coral takes centre stage. It’s a pleasingly pink coral hue with golden undertones, and it’s quickly found its way into the colour palettes of makeup, jewelry, accessories and shoes. Some of the more fashion-forward brands out there have even drafted it into their packaging, and we think that’s a smart, compelling choice. Use HEX #FF6D70 or CMYK 0 59 50 0 when creating your custom packaging. There’s no denying that packaging is an exciting, constantly-changing industry. Witnessing the packaging trends that alter the e-commerce and shipping landscape is endlessly fascinating and makes us excited for everything still to come. What are some of the packaging trends that you want to see? 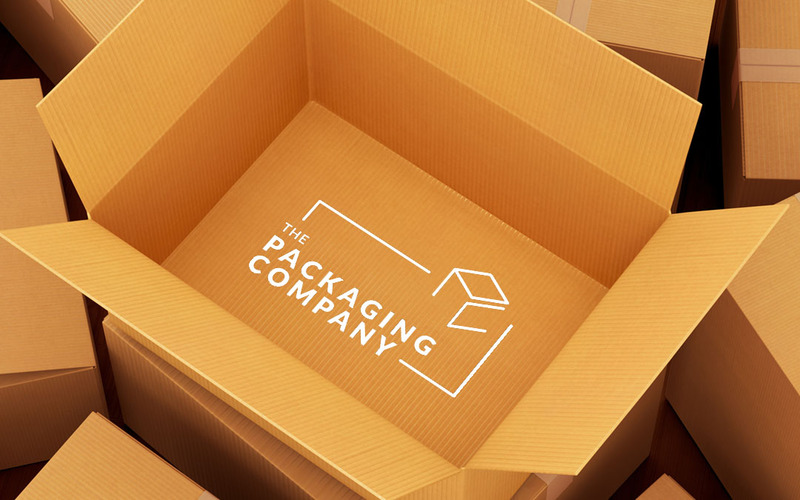 Be sure to let us know—The Packaging Company would love to hear from you!